The Austrian Egger was able to use to its advantage the overall economic situation during the first half of the business year 2018-2019 (on 31 October 2018). It closed with a consolidated turnover of Eur 1.43 billion and an adjusted operative result (Ebitda) of Eur 231.4 million. The outlook for the second half-year is also optimistic. 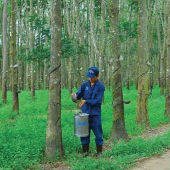 “In the last six months we were able to use the overall positive economic situation to our advantage. 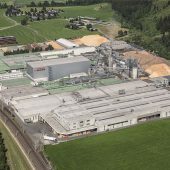 We utilised the capacities of our 18 modern plants and reached these satisfactory turnovers and results together with our now 9,600 employees”, says Thomas Leissing, Head of Finances/Administration/Logistics and spokesperson of the Egger Group Management, on the day the balance sheet is published. The largest turnover increase, with 76.5 percent, was registered by Egger in the furniture and interior design product segment (Egger Decorative Products). 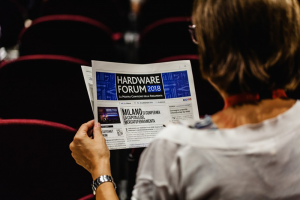 The sales in this segment has grown in all relevant geographic markets as compared to the previous year, and reached a total of Eur 1,222.6 million (plus 3.8 percent). 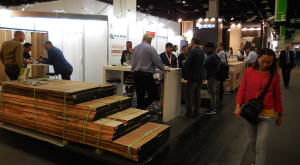 When it comes to flooring (Egger Flooring Products), the market situation remains difficult throughout Europe. Nevertheless, the volumes from the Gagarin (RU) plant increased, particularly on the Russian market. This means the division sales increased to Eur 225.3 million (4.7 percent), which corresponds to 14.1 percent of the total turnover. 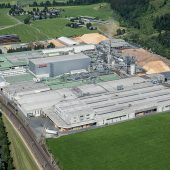 Egger reports for the first time in its half-year balance sheet the newly created segment “Others”. It includes Group functions, the sawmill in Brilon (DE), and currently the Argentinian plant in Concordia acquired in 2017. 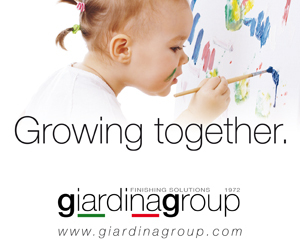 This segment has a turnover of Eur 151.1 million and currently contributes 9.4 percent to the Group turnover. 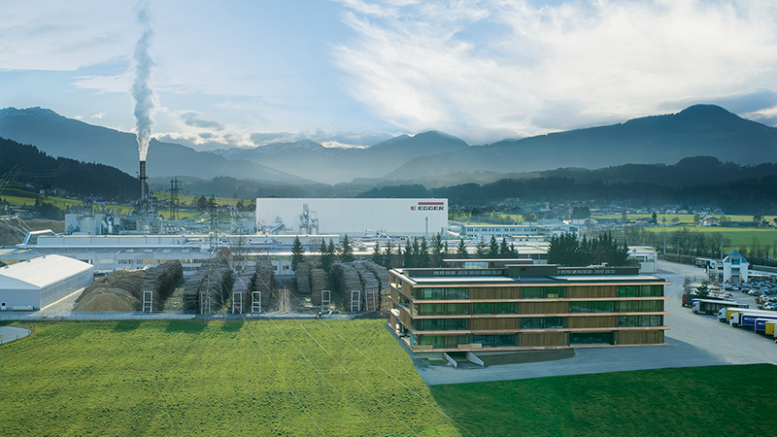 These solid results are the basis for further growth: Over recent months, the Egger Group continued its growth investments in almost all plants, including additional finishing capacities or logistics optimisations. This is currently particularly visible in Egger’s 19th plant location in Biskupiec, Poland. “Over the past year and a half, we have built there Europe’s most modern wood-based materials plant. The construction and assembly works are now largely completed. We hope to be able to start production in the next few weeks,” says Walter Schiegl, Head of Technology/Production Egger Group. On the other hand, Egger is still only at the beginning of construction in Lexington, North Carolina (US). The ground-breaking ceremony for the production facilities of this greenfield project took place in early November. In the first six months of the 2018/19 business year, investments of Eur 242.9 million (previous year: Eur 264.4 million) were made. Eur 40.4 million (previous year: Eur 36.3 million) was spent on maintenance investments and Eur 202.5 million (previous year: Eur 228.1 million) on growth investments including acquisitions. The number of employees also grows with the investments: On 31.10.2018, Egger had 9,617 employees (annual average: 9,422; plus 10.4 percent as compared to the previous year). For the flooring segment, Egger is counting in Western Europe on a stable to slightly upward evolution given the competition context. An increase in laminate flooring is expected in Russia and neighbouring countries. In the Osb market, the recently very positive demand situation flattens again seasonally, but the demand for building products will maintain a good level in 2019 as well. In addition to geopolitical uncertainty and the currency and inflation evolution in Argentina, the development of the raw material markets, and particularly a shortage of wood, represents a key risk for Egger. 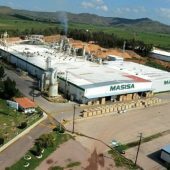 The company counters this by starting the operation of additional refinement capacities and investments for the improvement of the raw material and energy situation, as well as with the continuous optimisation of the use of materials and the costs structure. Egger expects these measures to ensure a virtually full utilisation of production capacities in all plants for the second half of the business year 2018/2019.